We’ve teamed up with Meridian Foods to create a healthy and tasty breakfast bowl with only a few ingredients. Add the Nutty One to your bowl and top with almond milk. Wash the pear and cut into slices. 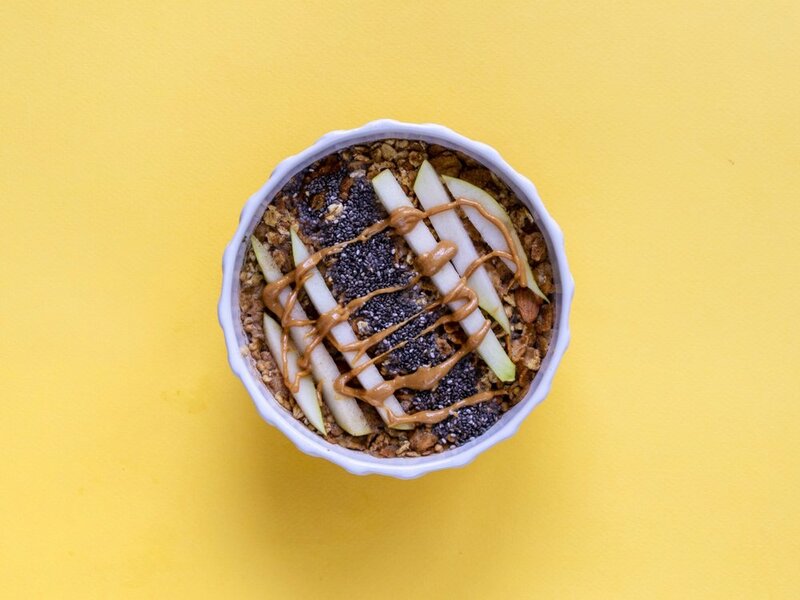 Add some Chia seeds to your bowl and place the pear around. Sprinkle some of the cashew butter on top and you’re done. Add some yoghurt into your bowl and place two hands of The Nutty One on top. Cut the bananas into slices and then use the cookie cutter to create star shapes. Place bananas and blueberries on top. Add a dollop of peanut butter in the middle and drizzle over your bowl creation.